Los Angeles based multi-instrumentalist producer, composer, DJ, and performer Mark de Clive-Lowe recently dropped by Dubspot NYC to check out Native Instruments Maschine and discuss his approach to music production, performance, and workflow. The New Zealand-Japanese keyboard extraordinaire is an incredible live performer, known for bringing the studio to the stage utilizing drum machines, keyboards, and effects. He sat down with Dubspot Instructor Heinrich Zwahlen for a session on workflow and beat making with Maschine, NI’s versicle groovebox which is currently redefining the intersection of hardware and software, production and performance. Mark has lent his unique sound and production techniques to artists ranging from Lauryn Hill to Leon Ware. He has collaborated with musicians including Sheila E and Pino Palladino, and released music on labels such as Louie Vega‘s Masters At Work Records and prestigious jazz imprints such as Verve and Impulse! MdCL has a forthcoming album titled Renegades on Tru Thoughts. He also released a bandcamp exclusive EP titled Leaving this Planet to hold you over until the release of Renegades. You can check that one out here. Whether you call him artist, producer, composer, pianist, performer, DJ, or selecta, the multi-talented Mark de Clive-Lowe (MdCL) defies easy categorization. The piano sets the course, the keyboard is the vehicle, and with the drum machine as the fuel, the relentless skill of MdCL is underscored by a rare sonic sensibility. He’s an accomplished musician, starting out with straight-ahead jazz, before taking his music far beyond. Anchored by his Japanese and New Zealand parentage and ignited by a love of playing piano at the age of four, it is no wonder this multi-national artist has toured the globe, from NZ to the US, UK, Europe, Asia and Cuba. 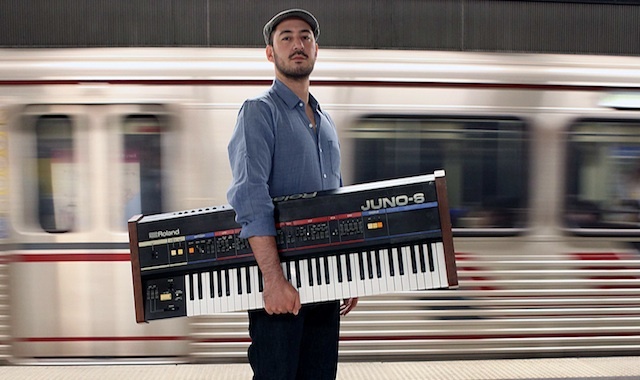 Currently based in LA after a decade entrenched in London, MdCL’s new album, Renegades, has guest appearances from Sheila E (Prince), Omar, Tawiah, Pino Palladino (D’Angelo/The Who), and nia andrews. The new LP features club classics flavored from soul and funk, to tech-Afrobeat and Latin twists, all orchestrated by MdCL: a revolutionary Quincy Jones for a new generation, armed with the ability to meld the science of beat-making with composed music.